There are great sports facilities available for hire at The Long Eaton School including an Astro Turf Pitch, Sports Hall and Gymnasium. A superb indoor training facility perfect for 5-a-side football, badminton, cricket and many more sports and activities. Great for parties, celebrations and events. A performance and conference hall facility complete with retractable seating, stage area and lighting. The perfect space for exercise classes, dance, drama, music, conferences, shows and a whole host of other events and activities. An excellent traditional indoor sport activity space. The perfect facility for tots/junior sports groups, fitness classes, martial arts clubs and much more. Dance Studio with mirrors and bars, available to hire. A great venue for regular dance groups, fitness classes and much more. Make this space your club or group's new home. Casual or one off bookings also welcome. 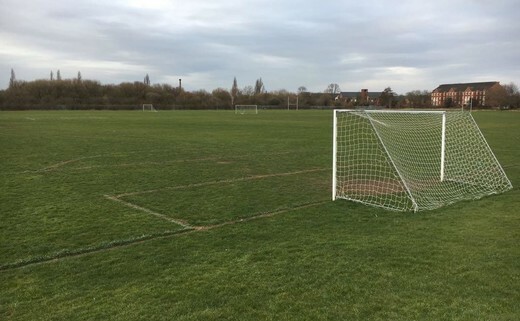 Grass Pitches available to hire for sports, events and more. A great outdoor space for football and rugby at competitive fixture and hourly rates. Regular bookings and one off sessions are welcome! Multi purpose space that can be set out for your requirements. Suitable for various activities, groups and clubs. An ideal venue for training, meetings and more.